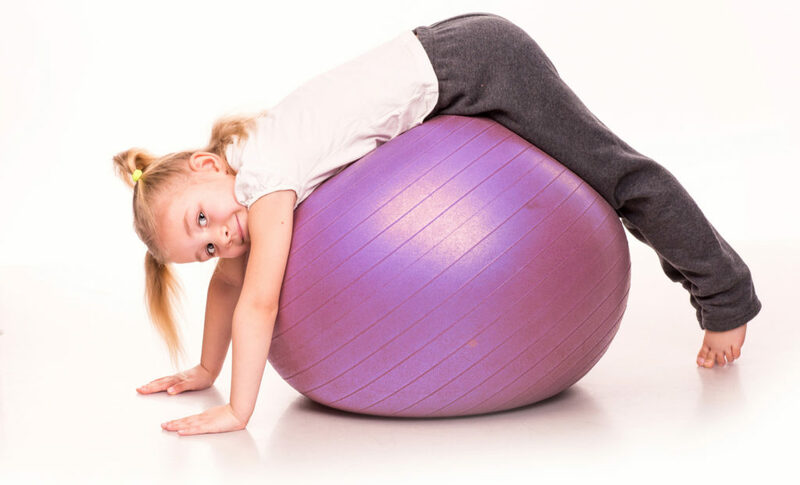 At Core Kids we are on a mission to teach young people about the many benefits to be gained from regularly practicing simple Pilates exercises and mindfulness! Our Core Kids classes have been designed to be fun, exciting and will help to strengthen muscles, improve balance, posture and concentration. Children’s lifestyles have dramatically changed over the past 20 years. Unfortunately, there is less opportunity to spend hours playing outside having wonderful adventures from dawn to dusk! Yes, kids still love to climb trees, hang from monkey bars and go for long bike rides, but in general their daily routine is more sedentary. There is more sitting, watching TV and playing on gadgets, which is having a massive effect on posture, core strength and general well being. We want our children, and in turn, their children, to be happy, healthy and strong. Pilates offers a range of benefits for children, including aiding in cardiovascular and general fitness. The poses practised in Pilates help to maintain flexibility in children's muscles and tendons. This is useful if they wish to participate in other sports such as ballet and gymnastics, and is also great for their overall fitness! Pilates helps to improve the circulation of blood, strengthening the core muscles of the body - helping children to conserve their energy, as well as keeping them lean and improving their athletic performance. School can be mentally demanding, and often children can be overwhelmed. The focus required to perform exercises in Pilates will transfer to the classroom and you will see improvements in their academic performance. Spending hours slouched staring at a screen each day, can lead to a range of back problems in later life. Pilates can help to correct this! Children that participate regularly in Pilates classes have better spinal alignment and posture! Do you have a child, or work with children who have challenges in any of these areas? Teaching them mindfulness skills can provide life-long benefits. Mindfulness is noticing what is happening around you right now, and learning to REALLY focus on the present moment. When children learn simple mindfulness techniques, they are able to focus more deeply and begin to pay attention, allowing them to improve many areas in their lives. This course is specially designed to teach children how to apply mindfulness and meditation skills to build resilience, enabling them to cope with stress and difficult everyday situations more readily. They will be skilfully led through a series of exercises and discussions which focus on the importance of listening. At the heart of this will be age-appropriate breathing and relaxation techniques. Calmness Breathing and other mindfulness practices relax the body and mind, giving access to peace independent of external circumstances. Studies find that mindfulness reduces feelings of stress and improves anxiety and distress when placed in a stressful social situation. Improved Attention Levels. Mindfulness strengthens our “mental muscle” for bringing focus back where we want it, when we want it. Numerous studies on the effects of mindfulness show improved attention including better performance on objective tasks that measure attention. Increased Resilience Seeing things objectively reduces the amount of narrative we add to the world’s natural ups and downs, giving us greater balance. Emotional Regulation Observing our emotions helps us recognize when they occur, to see their transient nature, and to change how we respond to them. Mindfulness creates changes in the brain that correspond to less reactivity and better ability to engage in tasks even when emotions are activated. Compassion Awareness of our own thoughts, emotions, and senses grows our understanding of what other people are experiencing. People randomly assigned to mindfulness training are more likely to help someone in need and have greater self-compassion, increased kindness and empathy towards family and peers. Any children aged between 6 and 11 years old can benefit from these combined disciplines . Mindfulness is a practice to be shared and taken into our everyday lives. No previous experience of mindfulness or meditation is required. We hold two sessions, one for 6-11 years and one for 11-16 years.